Cygnet Law is celebrating a senior staff member’s significant milestone. Alison Lynch, a solicitor at the Redcar-based firm, was admitted to the Roll of Solicitors on October 1, 2008. Alison joined Cygnet in 2013, having already established herself as a family lawyer at a number of local firms. 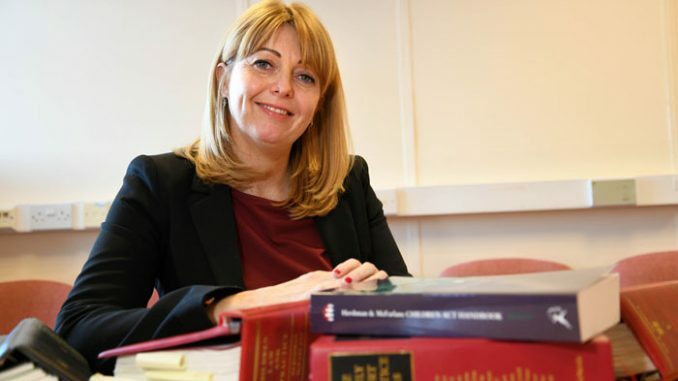 Since joining Cygnet five years ago, Alison has progressed her career in Child Law and now represents local authorities, children and parents in complex public law cases. As a member of the Children Panel, she is able to represent often vulnerable children in difficult situations. Alison said: “I am proud to have reached this milestone in my career, especially to have done so alongside the team here at Cygnet Law. “The work I undertake is often in extremely demanding and complicated areas of law but I am now at the point in my career where I can take on these challenges with the experience behind me. “As difficult as the work may be in family law, it is also rewarding for the outcomes I help children and families to reach, in often trying circumstances”. Peter Medd, managing director and Solicitor at Cygnet Law, said: “Personally and on behalf of Cygnet Law, I am delighted to be able to recognise and celebrate this milestone with Alison.